Allam Ahmed is the Founding Director of the Middle Eastern Knowledge Economy Institute (MEKEI) and Founding Editor of all its journals and books series. Allam completed his Ph.D. in Economics (Technology and Knowledge Transfer for Development) at Edinburgh Napier University, UK. He obtained his MSc/MBA from the Royal Agricultural University, UK and awarded the RAU Scholarship and Prestigious Book Prize for Best MSc/MBA Dissertation. He is a Fellow and Chartered Marketer of the Chartered Institute of Marketing, UK. Following several senior lecturing appointments in Edinburgh, London and Sussex Science Policy Research Unit – SPRU (world leader in research, consultancy and teaching in the field of Science and Technology Policy), where he established and lead the postgraduate programme MSc International Management, in 2009 Allam was appointed to lead the Government of Abu Dhabi major and first of its kind in the Middle East Knowledge Management Framework (Musharaka). Allam has also been fortunate enough to have a wide variety of teaching experiences prior to the University of Sussex at the University of East London (Business School), Edinburgh Napier University (Business School), University of Edinburgh (School of Economics), University of Leicester (Centre for Labour Market Studies) as well as international working experience at Regents Business School (London), Schiller International University (London), Amity Business School (India), and the University of Khartoum, (Sudan). 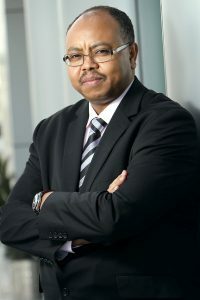 His professional experience include working with Marketing Data Basics, British Marketing Research Bureau International, New Generation Systems, Yuksel Insaat Saudia Company (KSA and Turkey); Middle East Office for Translation and Interpretation (KSA); and Director for Africa, IAAS International. Allam work featured and archived by major international institutions and top universities such as World Bank; United Nations; European Commission; Finland Ministry of Foreign Affairs; Swiss Government; UK Department for International Development (DFID); Governmnet of St Lucia; World Food Programme, FAO; Imperial College London;Cambridge; Jönköping; Oxford; Princeton; Yale; Harvard; MIT; Stanford; Toronto; US Congress; British Library; etc. Expert Advisor to the European Commission on International Scientific Cooperation (2006-2008); International Co-ordinator UNESCO Chair on Transfer of Technology (UNESCOTT) (2008-); Advisor African Capacity Building Foundation (ACBF) (2011-2013); Founder of Sudan Knowledge (SK); referee for the UK Economic and Social Research Council (ESRC), Dutch Research Council (Netherlands Organisation for Scientific Research), Oxford University Press and for various governments, in Africa, Europe and the Middle East. Allam published widely on how knowledge and technology transfer (TT) contribute to SD and competitiveness in the developing countries (DCs). He produced more than 120 publications (including 25 books) and serves on the Editorial Board of eight international journals in S&T, SD, KM, Business, Entrepreneurship, Marketing, Management, Strategy & International Business. He is the recipient of several international Awards and Medals and listed in the WHO’S WHO IN THE WORLD 2009-2015, WHO’S WHO IN FINANCE and BUSINESS 2009/2010 and WHO’S WHO IN AMERICA 2012-2014 published by Marquis Who’s Who, USA. For more than 20 years, Allam has presented many keynote and public speeches to a wide range of audience drawn from academic institutions, industries and international organisations from a broad range of backgrounds, post and under-graduate students, senior and middle management to government officials and trainees at all levels. He has also led seminars and workshops in knowledge management; technology transfer and commercialisation; strategic planning; curriculum design and delivery of UK and overseas programmes; marketing; management; leadership development; etc. If you have any media/press inquiries or looking for an expert comment on a particular subject please contact Allam at allam@mekei.org.